Boasts 24 Highway MPG and 19 City MPG! This Ford F-150 delivers a Twin Turbo Regular Unleaded V-6 2.7 L/164 engine powering this Automatic transmissio… n. XL SPORT APPEARANCE PACKAGE -inc: Fog Lamps, Box Side Decals, Wheels: 17 Silver Painted Aluminum, Body-Color Front & Rear Bumpers, body-color front fascia, TRAY STYLE FLOOR LINER, TRANSMISSION: ELECTRONIC 10-SPEED AUTOMATIC -inc: selectable drive modes: normal/tow-haul/snow-wet/EcoSelect/sport. *This Ford F-150 Comes Equipped with These Options *STX APPEARANCE PACKAGE -inc: Fog Lamps, Driver/Passenger Seat Back Pocket, SYNC 3, enhanced voice recognition communications and entertainment system, 8 LCD touchscreen in center stack w/swipe capability, AppLink, 911 Assist, Apple CarPlay and Android Auto and 2 smart charging USB ports, Box Side Decals, Rear Window Defroster, Wheels: 20 Machined-Aluminum, flash gray painted pockets, Manual Driver/Passenger Lumbar, Privacy Glass, Body-Color Surround w/Black Mesh Insert Grille, black mesh insert, Body-Color Front & Rear Bumpers, body-color front fascia, Tires: P275/55R20 BSW AT, 275/65R18 OWL all-season/all-terrain spare tire, ENGINE: 2.7L V6 ECOBOOST -inc: auto start-stop technology, 3.55 Axle Ratio, GVWR: 6,600 lbs Payload Package , REVERSE SENSING SYSTEM, PLASTIC DROP-IN BEDLINER, FRONT LICENSE PLATE BRACKET -inc: Standard in states requiring 2 license plates, optional to all others, EXTENDED RANGE 36 GALLON FUEL TANK, EQUIPMENT GROUP 101A MID -inc: SYNC, enhanced voice recognition communications and entertainment system, 911 assist, 4.2 LCD display in center stack, Applink and 1 smart charging USB port, 4.2 Productivity Screen in Instrument Cluster, compass, XL Power Equipment Group, Power Glass Sideview Mirrors w/Black Skull Caps, manual-folding, Power Door Locks, flip key and integrated key transmitter keyless-entry (includes Autolock), Illuminated Entry, Power Front & Rear Windows, Perimeter Alarm, Power Tailgate Lock, MyKey, Cruise Control, COLOR-COORDINATED CARPET W/CARPETED FLOOR MATS, COLOR-COORDINATED CARPET W/CARPET FLOOR MATS (FLT), CLASS IV TRAILER HITCH RECEIVER -inc: towing capability up to TBD on 3.3L V6 PFDI engine (99B) and 2.7L EcoBoost engine (99P) or up to TBD on 3.5L EcoBoost engine (994), 3.5L EcoBoost High Output engine (99G) and 5.0L V8 engine (995), smart trailer tow connector and 4-pin/7-pin wiring harness. * Stop By Today *A short visit to Route 23 Automall located at 1301 Rt. 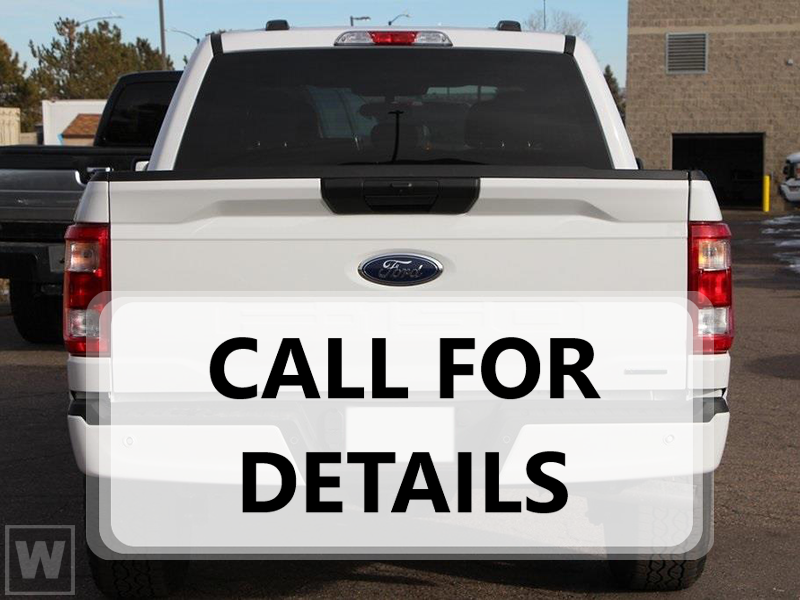 23 South, Butler, NJ 07405 can get you a tried-and-true F-150 today!